President Trump with a bipartisan group of Congress and other leaders speaking on the First Step Act, the first major overhaul of the nation's criminal justice system. This week, LaRouche PAC is beginning to organize a nationwide drive to change the terms of the present national political debate based on the following statement: The Way Forward. If the anarchy and preening for position by Democrats and ideologically blinded Republicans in the Congress continues, in its present form, we will have proven ourselves incapable of government across the partisan divides which feed the political parties’ money machines. This is not the fault of President Trump. But he has no one supporting him on the Hill who thinks and acts on the level of our Founders. That must change. We will be on the Hill, but we’re also asking you, the citizens who now must act, to call your Congressman or Senator and demand that “The Way Forward” form the basis of a new and urgent national debate and legislation, putting principle above parties. As most know, we have stood most resolutely against the criminal coup against the President being run by the British through their extant networks here. It has damaged the nation as we stand horribly still, shouting, but not moving forward. The President's very ability to govern is jeopardized by partisans, many of whom are thinking and acting like moral and intellectual midgets. This must stop. There is a whole world out there which is advancing, in which American greatness can flourish, but only if we embrace again the national mission outlined in “The Way Forward” statement. Please read this statement, send it to your friends and neighbors and tell them to call their Representative or Senator. It's time now for the big and positive change for which our citizens repeatedly vote. After the mid-term election results, it should have become clear to all concerned, as indeed expressed by President Donald Trump in his press conference at that time, that with the Republicans in control of the U.S. Senate and the Democrats in control of the House of Representatives, either the nation and thereby the world will suffer self-destructive inaction, as a result of an escalating attack on the Presidency, or bipartisan action will need to be taken “in order to form a more perfect union, establish justice, insure domestic tranquility, provide for the common defense, promote the general welfare, and secure the blessings of liberty to ourselves and our posterity.” Only the latter course can serve the interests of the citizens of this nation of ours and the interest of humanity as a whole. Such bipartisan action, however, will not succeed if it is merely based on practical compromise and horse trading. It must be based on principle, the principle established in the U.S. Constitution and reflected in the economic principles of the American System of Economics espoused by Alexander Hamilton and implemented in the best moments of the history of both the Republican Party under Abraham Lincoln and the Democratic Party under Franklin D. Roosevelt. (1) The immediate re-enactment of the Glass Steagall law instituted by U.S. President Franklin D. Roosevelt without modification, as to principle of action. The City of London and some Wall Street elements will oppose this as they have done in the past. However, this action was endorsed in both the 2016 Republican and Democratic Convention Platforms. Legislation has been introduced into both the House and the Senate in support of this measure. Furthermore, during his campaign, President Donald Trump explicitly endorsed such action. 2) A return to a system of top-down, and thoroughly defined, National Banking. The actually tested, successful model to be authorized is that which had been instituted, under the direction of the policies of national banking, which had been actually, successfully installed under President Abraham Lincoln’s superseding authority of a currency created by the Presidency of the United States (e.g., “Greenbacks”) as conducted as a national banking-and-credit-system placed under the supervision of the Office of the Treasury Secretary of the United States. After the 2016 Presidential campaign, President Donald Trump made a number of extraordinary speeches in Michigan, Kentucky, and Washington, D.C. in which he called for a return to what had earlier in our history been known as the American System of economics as distinct from the British System of free trade. The Republican Party from Abraham Lincoln through William McKinley was committed to this policy, which goes back to Alexander Hamilton. Franklin D. Roosevelt was also committed to this policy. His great-great-grandfather, Isaac Roosevelt, worked with Alexander Hamilton, and Franklin D. Roosevelt’s thesis at Harvard was on Alexander Hamilton. Take the crying need for an infrastructure program today. How can this be funded? It should be funded by the extension of Federal credit for productive purposes. Hamilton did it through the National Bank. Abraham Lincoln did it with his Greenback policy. Franklin Roosevelt did it through the Reconstruction Finance Corporation. So why not return to the best practice of both parties in finding a principled way to fund desperately needed infrastructure? (3) The purpose of the use of a Federal credit-system is to generate high-productivity trends in improvements of employment, with the accompanying intention, to increase the physical-economic productivity, and the standard of living of the persons and households of the United States. As LaRouche further specifies, an increase in the physical-economic productivity of the population requires an increase of the effective energy-flux density per capita, and for the human population when considered as a whole. The ceaseless increase of the physical-productivity of employment, accompanied by its benefits for the general welfare, is a principle of Federal law, which must be a paramount standard of achievement of the nation and the individual. Admittedly there are those today who advocate a Green New Deal in opposition to the conception of improving the human condition through higher, more efficient forms of technology which provide high energy flux density, such as nuclear fission and ultimately nuclear fusion. Such a “Green” conception, based on the Limits to Growth ideology propagated by Prince Phillip and the late Prince Bernhard of World Wildlife Fund fame, would actually result in a lowering of the standard of living in the U.S. and a massive reduction of the world’s population, otherwise called genocide. Such a policy is not anti-establishment as some would pretend. It is ultimately the racist, colonialist policy of the Anglo-Dutch liberal system. 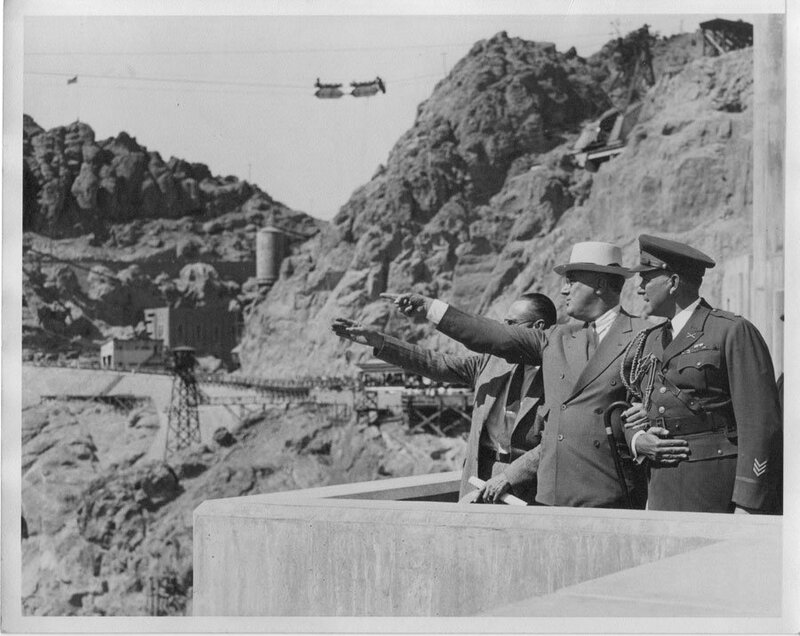 This was not the policy of Franklin D. Roosevelt, who launched the Manhattan Project. Nor was it the policy of John F. Kennedy, who launched the Apollo Project. If we are to meet the needs of our citizens, we will have to come to an agreement that Federal credit can only be extended not for low-energy flux density green technologies incapable of sustaining a growing industrial economy and accompanying higher standard of living, but rather only for technologies based upon the above scientifically grounded definition of productive. (4) Adopt a Fusion-Driver “Crash Program.” The essential distinction of man from all lower forms of life, hence, in practice, is that it presents the means for the perfection of the specifically affirmative aims and needs of human individual and social life. Today, remedies are required comparable to those of President Franklin Roosevelt. This meant the mustering of the power of nuclear power, then, and means thermonuclear fusion now. A fusion-driver “crash program” also entails the revival of John F. Kennedy’s Apollo space program, since, among other things, one of the best sources for fueling fusion energy is helium-3, which is found on the moon. In 1980, Congressman Mike McCormick (D-Wa.) introduced the "Fusion Energy Research, Development, and Demonstration Act of 1980" which called for an Apollo-style national fusion program to produce a demonstration commercial fusion reactor by the year 2000. The legislation passed the House of Representatives on August 25. It passed the Senate on September 23. It was signed into law by the President on Oct. 7, 1980. Unfortunately that legislation was never funded and thus allowed to die. That was 38 years ago! The Chinese have just landed a spacecraft on the far side of the moon. The United States currently depends on Russian rockets to travel to the International Space Station. We are prohibited by legislation promoted by former Congressman Frank Wolf from cooperating with China in space, and due to anti-Russia hysteria, cooperation with Russia is also hampered as evidenced by the recent cancellation of the visit of the head of Roscosmos, the Russian Space Agency, to the United States. 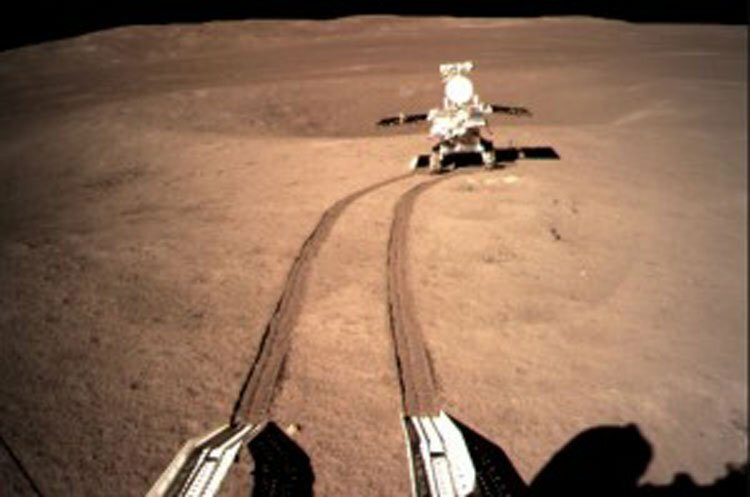 The Chinese Chang'e 4 Rover, the first-ever human rover to explore the far side of the Moon. If the United States is ever going to fully recover its manufacturing and technological leadership, it is urgent that bipartisan action be taken to finally launch a crash program for fusion energy development and a crash program for space exploration. Moreover, this must be done in cooperation with the international community, including emphatically Russia, China, and India. Remember that when he announced his Strategic Defense Initiative, Ronald Reagan, who could not be accused of being a Russia sympathizer, announced that he was willing to work with the then Soviet Union in rendering nuclear weapons obsolete. Despite his detractors, any honest person would admit that President Donald Trump has succeeded, despite massive resistance, in his stated purpose of beginning to reverse the deindustrialization of the United States brought about by decades of free-trade globalization policies. This is reflected in, among other things, a significant increase in manufacturing jobs. Besides the domestic actions indicated above, there is also an urgent need for action on the international policy front. The President is clearly committed to the principle of national sovereignty and is opposed to globalization; he has expressed his desire to improve relations with Russia and China; but he has not yet addressed the need for a New Bretton Woods system, as part of his economic agenda. And yet the greatest obstacle to ensuring the full economic revival of our nation, and ensuring world peace based on the economic development of the entire planet, is the fact that on Aug. 15, 1971, President Nixon abandoned the Bretton Woods system, including fixed exchange rates and the gold reserve system, all introduced by Franklin Roosevelt before he died. The Bretton Woods system, like the Glass-Steagall act, was based on American System economic methods, as opposed to the British System imperial methods which were put forward by John Maynard Keynes, and which were rejected by Roosevelt. It is a great travesty today that there are those in the so-called International Progressive Movement founded by Senator Bernie Sanders’ collaborator Yanis Varoufakis, who advocate creating a New Bretton Woods based on the ideas of Keynes, which Roosevelt rejected, in order to enforce their anti-Roosevelt green agenda. Contrary to Varoufakis, what Lyndon LaRouche has proposed for decades is a New Bretton Woods agreement to be launched based on a four power agreement among the United States, Russia, China and India, which would not only allow for the greatest economic renaissance in world history, but would also ensure global peace. The basis for such cooperation already exists. With the Belt and Road Initiative, China has proposed a new policy of a win-win cooperation among all nations of the world to overcome poverty and underdevelopment through investments in infrastructure, industry, and agriculture. This is absolutely in parallel with a policy long advocated by Lyndon and Helga LaRouche, a policy of building a World Land-Bridge, which is now becoming rapidly a new form of economic cooperation, which has brought optimism and hope for the future to many countries of the developing sector. Rather than seeing the economic rise of China, after all a nation of nearly 1.4 billion people, as a threat that must be suppressed, as some think tanks are advocating, the U.S. should cooperate with China and other nations in joint ventures to build a new era of human civilization. The historic breakthrough China has made by landing successfully on the far side of the moon, and for the first time in history bringing biological life to an extraterrestrial body, the moon, in the form of an actual living cotton plant, demonstrates, that China is engaged in the discovery of new physical principles of the universe, and not just “stealing our technology,” as some of the anti- China propaganda tries to suggest. It can only be in the interest of the United States to cooperate with China and build on the excellent relationship President Trump has established with President Xi Jinping. This is absolutely in affinity with the vision Franklin D. Roosevelt had in forming the old Bretton Woods system at the end of World War II. 1. All forms of imperialism, including so-called globalist institutions, must be rejected. Instead, the unconditional sovereignty of each and all nation-states must be adhered to. Furthermore cooperation among sovereign nation-states must be facilitated to the effect of promoting unlimited opportunities to participate in the benefits of technological progress, to the mutual benefit of each and all. 2. Contrary to the policy of outsourcing to take advantage of cheap labor, the progress of the productive powers of labor throughout the planet must be regarded as in the vital strategic interests of each and all. 3. Technology is understood to be the indispensable means not only for increasing the potential relative population-density of societies, but as also indispensable to maintaining even any present level of population potential. 4. The general advancement of the productive powers of labor in all sovereign states, most emphatically so-called developing nations, requires global emphasis on: a) increasing globally the percentiles of the labor force employed in scientific research and related functions of research and development; b) increasing the absolute and relative scales of capital-goods production and also the rate of turnover in capital-goods production; and c) combining these two factors to accelerate technological progress in capital goods output. 5. High rates of export of such capital-goods output to meet the needs of developing nations are indispensable for the general development of so-called developing nations: Our common goal, and our common interest, is to promote both the general welfare and promote preconditions of durable peace. 6. By supplying increased amounts of high-technology capital goods to developing nations, the exporting economies foster increased rates of turnover in their own most advanced capital-goods sectors of production. As a by-product of such increased rates of turnover in that sub-sector of the exporting nation’s production, the rate of improvement of technology in such categories of goods is increased, with great benefits to the internal economy of the exporting nation. 7. The import of such advanced capital goods increases the productive powers of labor in the economy of the importing nation. This enables the importing nation to produce its goods at a lower average social cost, and enables it to provide better-quality and cheaper goods, as goods of payment to the nations exporting capital goods. 8. The only equitable and workable relations in financing world trade among sovereign states with different economic and social systems is a system of credit based on fixed parities of national currencies, parities fixed by aid of a gold-reserve monetary order among sovereign nation-states. 9. To prevent a gold-reserve system of fixed parities from becoming subject to disabling inflationary spirals, it is necessary to limit the extension of credit within the monetary system to “hard-commodity” categories of lending for import and export of physical goods. The main obstacle to implementing these principles is not Russia or China. The main obstacle, the elephant in the room, is the British Empire or the Anglo-Dutch liberal system, which we are told doesn’t exist except in the minds of conspiracy theorists. But ask yourself: Is it a conspiracy theory to say that the American Revolution was fought against the British Empire? Is it a conspiracy theory to say that the British burned down the White House in the War of 1812? Is it a conspiracy theory to say that it was the British and Australians who intervened to prevent President Trump from declassifying documents which would expose the role of MI6 in launching a “Witch Hunt,” a coup d’état against the President of the United States? Is Christopher Steele’s dossier any more truthful than Tony Blair’s dodgy dossier on the non-existent Iraq weapons of mass destruction, which led us into a fateful war? We are at a punctum saliens in world history. The issue before us is: Will we act on principle in behalf of the people of the United States and our posterity, or will we be dupes of a foreign, British plot against the President of the United States? Now is the time to come together to forge a future we can be proud of. Are you willing to step back, reflect, and then act on this proposal? We do not have to tear ourselves asunder as a nation. Instead we can create a bright future for our grandchildren and for other’s grandchildren throughout the world.